Many climate models predict that water stress will increasingly challenge agricultural yields and exacerbate projected food deficits. For example, agricultural water supplies must be increased by 17% by 2025 to compensate for global population growth. To ensure food security and increase agricultural efficiency it is, imperative that crop water use efficiency be increased. Work over the past decades has established that the phytohormone abscisic acid (ABA) is a central orchestrator of water use that directly regulates stomatal opening and transpiration. We set out to test if wheat’s water use efficiency could be improved by increasing its ABA sensitivity. We showed that transgenic wheat over-expressing a wheat ABA receptor (TaPYLox) increased ABA sensitivity as a sequel to close stomata compared with control. The stomatal closure saved by 21% its lifetime water consumption in TaPYLox although its total seed yield was similar to control. Therefore, water use efficiency (yield/water consumption) increased by 35%. Even under limited water condition, TaPYLox exhibited drought tolerance. The seed shape sustained similarly to under no stress condition and seed yield reduction of TaPYLox was attenuated by 37% compared with control (77% down). Furthermore, seed component analysis indicated that starch accumulation of TaPYLox was similar to no stress although that of control decreased by 73%. Thus, increased ABA sensitivity could protect seed quality. To elucidate why the overexpressing wheat has an advantage in seed production, we investigated photosynthetic activity. Interestingly, the photosynthesis efficiency of TaPYLox, the ratio between CO2 assimilation and transpiration rate increased by 15%. Furthermore, the maximum velocity of Rubisco for carboxylation also increased by 15%. Thus, increased ABA sensitivity could enhance Rubisco carboxylation activity. Our findings provide a general strategy for increasing water use efficiency that should be portable to other crops due to the high conservation of the ABA signaling pathway. Fumitaka Abe – NARO inst. Crop Sci. ; Jun Kikuchi – CSRS, RIKEN; June-Sik Kim – CSRS, RIKEN; Keisuke Tanaka – NODAI Genome Res. Center; Hisato Kobayashi – NODAI Genome Res. 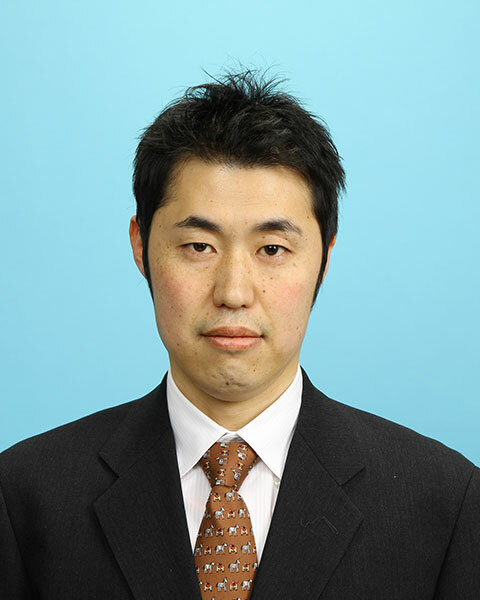 Center; Yoichi Sakata – Applied Biosci., Tokyo Univ. of Agriculture; Hisashi Tsujimoto – ALRC, Tottori Univ. ; Kousuke Hanada – Frontier Res. Acad. for Young Researchers, Kyushu Inst. Tech. ; Masanori Okamoto – Center for Biosci. Res. Edu., Utsunomiya Univ.